Welcome to the 2015 Golf Preview, where I’ll take a look at selected golfers and examine what to expect over the next twelve months. Today, we look at Martin Kaymer. 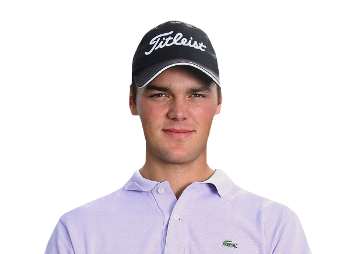 Martin Kaymer made his debut on the European Tour in 2007, and in the seven years since, there have been few players who have seen the on course highs and lows that Kaymer has. Ahead of the 2010 PGA Championship, Kaymer had won five times in Europe and was considered a young player to watch, but he certainly wasn’t expected to win that week at Whistling Straits. In the tournament that has become known more for Dustin Johnson’s “bunker” grounding, Kaymer found himself in a three-hole playoff with Bubba Watson. With both players tied after the first two holes, Watson ended up playing his second into the creek short of the 18th green, giving Kaymer the ability to lay up out of a bad lie and make par to win his first major championship. The wins continued for Kaymer after the PGA, as he picked up four more victories in the next fourteen months, including an eight shot win over Rory McIlroy in Abu Dhabi, and after a runner-up finish at the WGC-Match Play, Kaymer took over the number one spot in the Official World Golf Rankings, joining Bernhard Langer as the only Germans to sit atop the OWGR. Something changed right after that though, which Kaymer partially attributes to his attempt to change his swing to fit Augusta National’s heavy draw bias, and Kaymer fell into a slump, dropping in the OWGR and barely qualifying for a spot on the 2012 Ryder Cup team. Once there, he did sink the winning putt for Europe but was using sparingly by captain Jose Maria Olazabal and things didn’t really improve much in 2013. 2014 didn’t start out particularly well either, as he had no top-10 finishes worldwide prior to the PLAYERS Championship, but an opening 63 allowed Kaymer to build a lead that he didn’t relinquish all week, allowing him to get his first win in nearly two years. A month later, Kaymer started with back-to-back 65’s at the U.S. Open and as much as people like myself tried to convince everyone that the tournament wasn’t over, it was as Kaymer coasted to an eight shot win. You might be surprised to know this, but there wasn’t a Jostens watermark on this image. I mean, sure, this looks like Martin Kaymer, but I’m pretty sure that Tiger was only on his first swing change when this photo was taken. He also hasn’t been with Titleist in about five years. When Kaymer opened up with those two 65’s at Pinehurst earlier this year, and basically went on cruise control afterwards, it wasn’t like he was getting fortunate with his lies or rolling in monster putts. Kaymer put on an absolutely stunning display of ball striking, and it was just repeated hole after hole after hole, and it just seemed like he could do nothing wrong. The “standard German efficiency” jokes were beaten to death at the PLAYERS and Pinehurst, but there were definitely points where Kaymer looked like he was on autopilot and even on the rare occasion that something went slightly offline, he was able to recover rather easily. It really does make me wonder how someone who looked that good in those two weeks had more missed cuts than top-10 finishes in 2014. When he’s on his game, Kaymer is a tremendous iron player, and he seems to make an inordinate amount of long putts, as we saw when he needed to save par on the 17th at the PLAYERS earlier this year. He’s not going to go away again, right? You’re not going to find anyone who will tell you that Martin Kaymer is an electrifying personality or someone who will bring in spectacular ratings, but I’d think we’re all in agreement that seeing players fall off the map like Kaymer did is something that we’d like to avoid. Expecting top-10’s every week is unrealistic for any player, but the fact that Kaymer was still so inconsistent last year when he showed flashes of utter dominance is a little disconcerting and I’d be lying if I said that I was convinced that he was here to stay. I hope that he is though because when he’s playing well, there are few players that can keep up with Martin Kaymer.